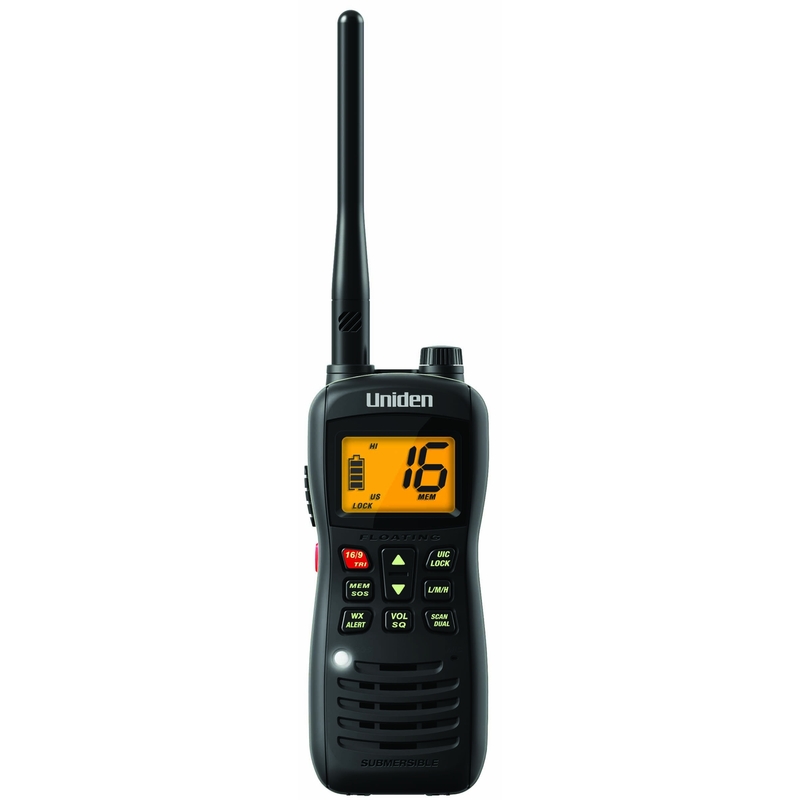 This Handheld Floating Two-Way VHF Marine Radio is rated JIS8/IPX8 submersible and is packed with features including a 1 Watt / 2.5 Watt / 6 Watt TX Power Boost Key, emergency strobe, all marine channels, dual/triple watch, memory scan, glow-in-the-dark seals and power key. The adjustable transmit output power maximizes battery life. Comes with High Capacity 1060mAh Li-ion Battery that provides 12 Hours of Battery Life, Accessory Battery Tray, Belt clip, AC/DC Chargers and Charging Cradle.